About: A gracious split two-bedroom layout offering walls of windows and northeast exposures. A spacious kitchen opens onto a corner great room over 28 feet long, with discreet bedroom suites at opposite ends of the residence. About: A smoked walnut entry door and a white oak foyer welcome you to this luxurious residence featuring three bedrooms, three baths and a powder room. 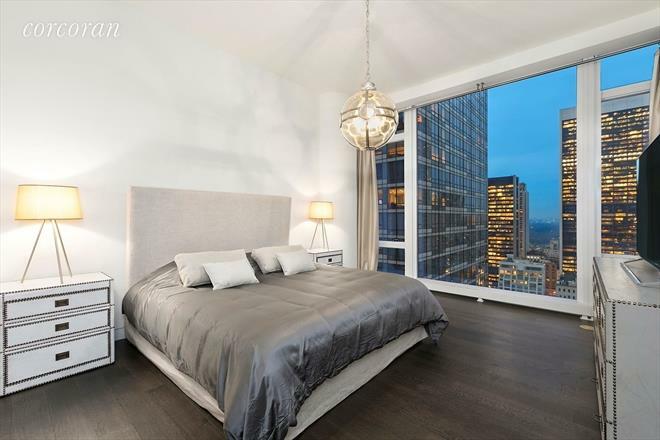 Designed by SHoP Architects, this 2,417 SF home features white oak floors and floor-to-ceiling windows offering dramatic city and river views from three exposures. 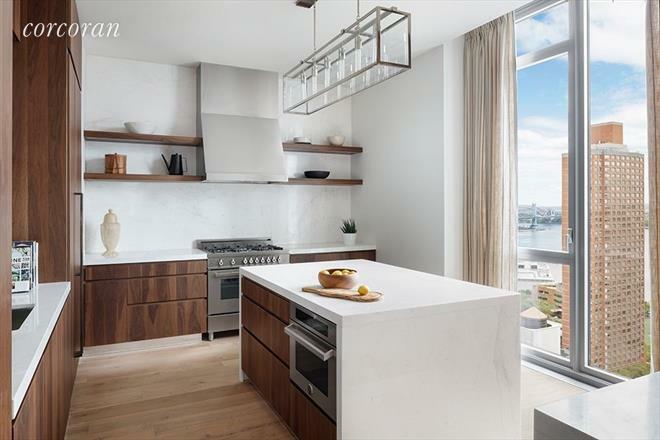 The windowed, custom chef’s kitchen designed by Clodagh for Citizen360 features smoked walnut cabinetry, Persian White Pulido Porcelanosa slab countertops and backsplash and an island with a waterfall edge. 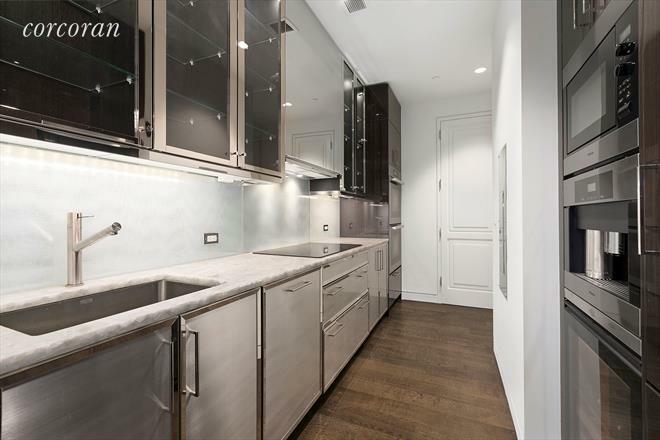 Appliances include a stainless steel Bertazzoni range, a Sub-Zero refrigerator, a U-Line wine refrigerator and a Bosch dishwasher. The unique powder room features Baltimore limestone tile flooring and walls with Sense by Clodagh 27 fixtures. The three-fixture, en-suite secondary and third baths feature Yakarta Blanco Porcelanosa tile, custom wood vanity with stone countertop with Sense by Clodgh 27 fixtures. Additional features include: washer/dryer with walk-in laundry room and sink, year-round zoned temperature control via central heating and cooling system. 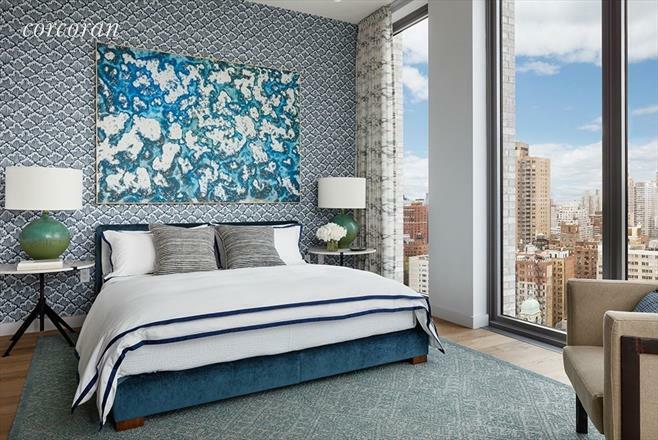 Amenities include a 24 hour attended lobby, a fitness center, a residents’ lounge, a music room, a screening room, a playroom, and bicycle storage. 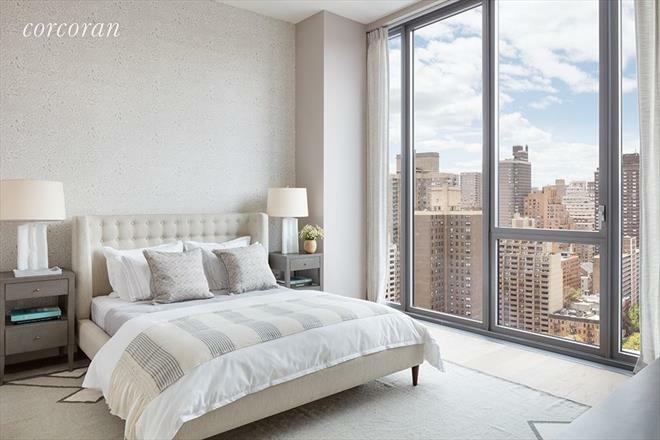 About: This is the most desirable 3 bedroom/ 3.5 bath at the renowned Baccarat Hotel and Residences giving you access to the most luxurious Manhattan life-style. With a generous 2,303 approx. sq. ft. and both North and East exposures, you are captivated by fantastic Central Park views. The interior was designed by Tony Ingrao which offers the ultimate in high-end in luxury living including wide ebony stained white oak floors, SieMatic kitchen with ebonized walnut and nickel frame cabinetry, Miele and Sub-Zero appliances and washer/dryer. With a separate kitchen, this layout allows for the maximum space needed for entertaining in the living/dining room. Master bathroom is impeccably detailed with honed Lido white marble slab floors and walls, radiant heated floors, and freestanding soaking tub. The second bathrooms are fully clad in Siberian polished marble.